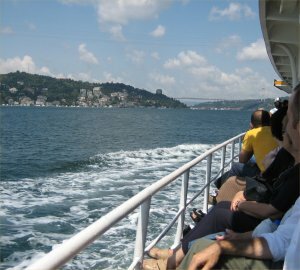 Adventure and a “proper” holiday in Istanbul (1/2). Sarah commented that “all our holidays seem to be more like projects than holidays”. I concede, and we have a “proper” holiday in Istanbul. 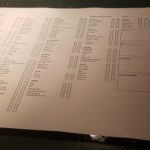 We stayed at the Legend hotel. 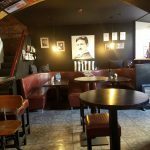 Located in the Old Quarter it was about 100 meter’s from all the attractions. It had a superb rooftop bar with spectacular views of the Blue Mosque. There were lots of smart things to see. 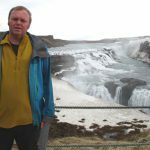 Some cultural sites, excellent food, and friendly people would make the difference between success and failure. 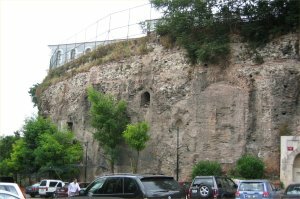 The original walls that protected the area where the leaders of the Ottoman empire originally lived. 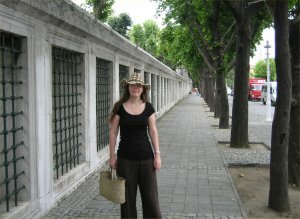 Sarah standing next to the wall of the Blue Mosque. She is wearing a hat she purchased just for the trip. 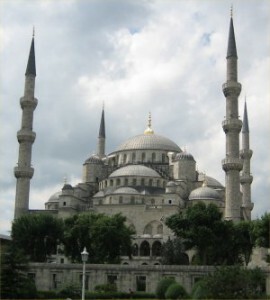 The Blue Mosque considered the most famous sight in Istanbul. It was an amazing building, and built by many of the people, who later constructed the Taj Mahal. 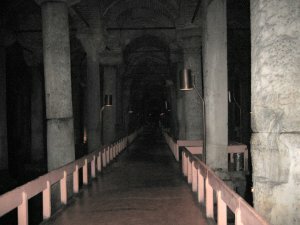 The Basilica Cistern located underneath the city. 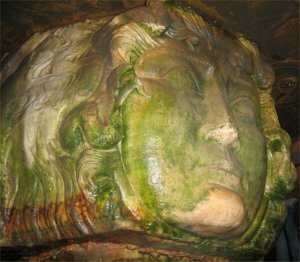 The water in the Cistern travels 19km from the Belgrade woods, via aqueducts built by Emperor Jusitinianus. The Cistern was used as a set in the James Bond film From Russia with Love. In Istanbul all of the historic sites we visited were either free or very cheap, which was a refreshing change from some of the other countries we have been to. The Cistern was originally built in the 6th Century. For a century after they invaded, the Ottomans did not know of the Cistern’s existence. 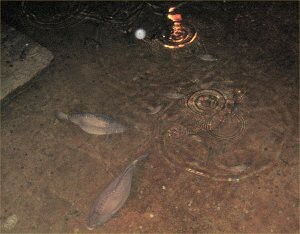 Many of the original residents were able to collect water and even “fish” from their homes by lowering buckets and fishing line from their floorboards into the water below. The fish in this picture, were nearly 2 feet long. The Cistern is made up of 12 rows of 28 columns, with a raised wooden platform, that allows you to walk through them. 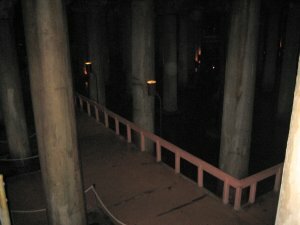 Some of the columns are made from re-used stone. Here the famous Medusa head on one of the columns. I have photographed it this way to make it easier to see, in reality its upside down. 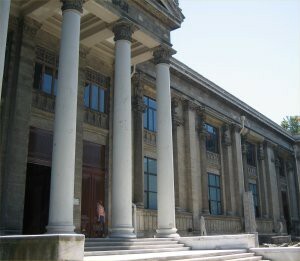 The archaeological museum next to the Topkapi Palace. I could have spent the whole day in there, and still not seen everything. 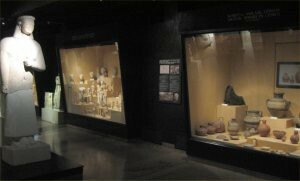 Some of the many original artefacts on the 3rd floor. 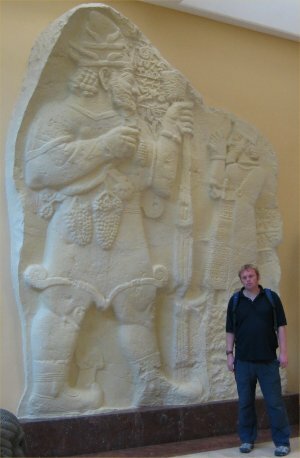 The statue on the left of this picture, is ancient, yet has a look of modern art to it. The Golden Horn, is at a right angle to the Bospherous. Its very similar to the creek in Dubai, and has been called the best natural port in the world. 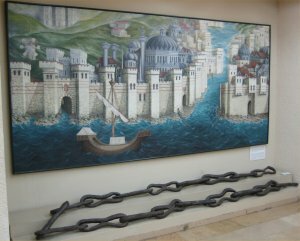 At night, the Ottomans, would block the Horn, using this chain, an amazingly practical way to render a waterway, effectively useless. Me standing in front of a spectacular stone carving. Unfortunately, I never wrote down the name of this piece, but almost everyone in the museum was photographed in front of it. 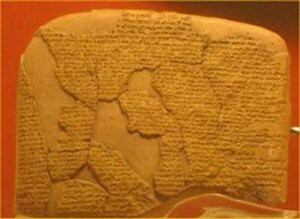 It was written in Akkadian the international language of the day. We sat outside at the Green Corner Cafe. 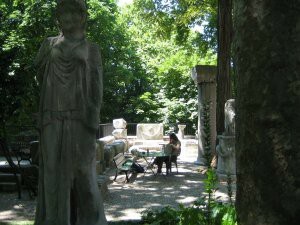 Many of the stone artefacts were located outside in the garden and we were able to sit among them while we relaxed. 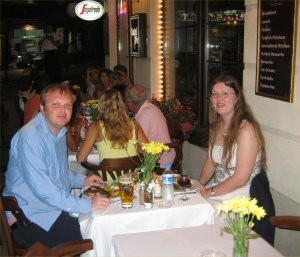 Every meal I ate in Istanbul was excellent. The waiters always looked pleased to see us, and seemed to show genuine delight, when receiving a well deserved tip. 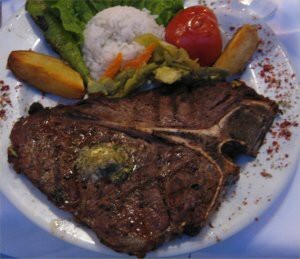 This gargantuan steak, was one of the best I have ever eaten, and cost about £2. 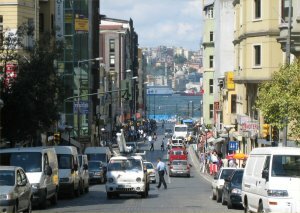 The road leading down to the port at the Golden Horn. 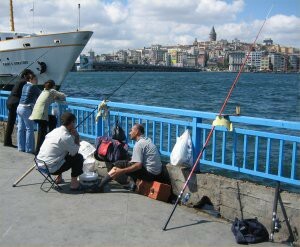 The streets in Istanbul, were busy, but always friendly. Fisherman at the riverside catch fish and sell them to local shopkeepers. The shopkeepers then make them into fish kebabs, and sell them to the general public. Sarah decided to try one. She described the taste as distinctive (which for Sarah, means it was awful !). The ferry was packed and we were lucky to get a seat outside. The view was spectacular. The boat stopped off several times on both sides of the Bospherous. We sail under the world famous Bospherous bridge. 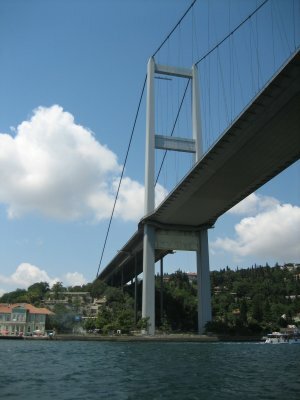 Since Istanbul is a city which spans 2 continents, it is possible to walk from Asia to Europe, over this bridge. Started in 1970, its construction cost $200,000,000 and took 3 years. 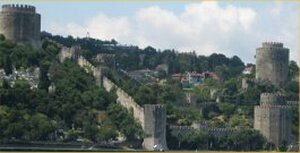 Located on the narrowest point of the Bospherous was built in 1452 by Mehmet II (before his invasion of Constantinople, which would later become Istanbul). 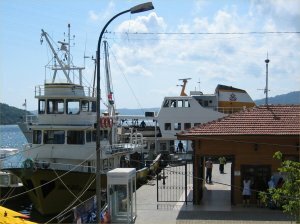 At the most northerly port on the Bospherous (Rumeli Kavagi) the boat stops off for an hour. This is the highest point that the ferry goes up the Bospherous. A few miles beyond, is the Black See. Sarah and I decided to make the most of it, and have a glass of wine. The view from the Restaurant balcony was quite excellent.